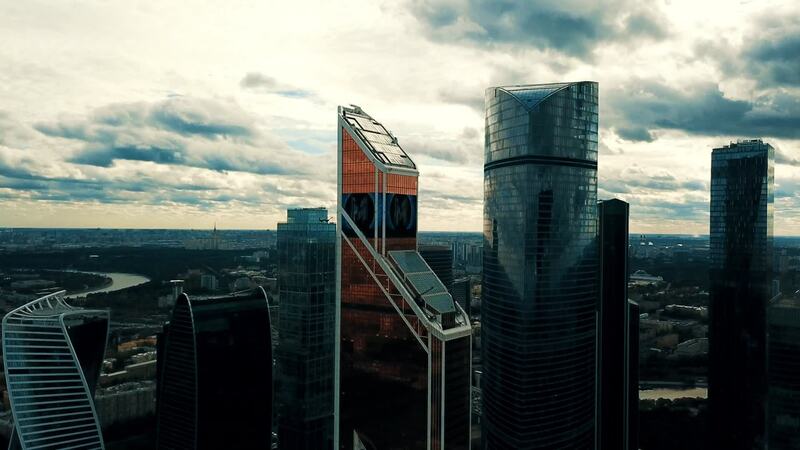 "Moscow City" is the informal name for the Moscow International Business Center, a newer commercial district of the Russian capital city known for its towering skyscrapers. Contributor MichaelMsk77 used a DJI Mavic Pro drone to create this beautiful video of the modern district. At about the :17 mark, you'll ride along for a climb up to the top of these behemoths. Here are five of Europe's seven tallest buildings as of 2018, the group's tallest being the 95 story, 374 meter (about 1.2k ft.) Federation Tower. Description: It is the business center of Moscow. The name of the complex towers - Moscow Сity.